Fresh off the announcement of kickboxing coming to the River City Casino under the Shamrock FC banner, the show that brought it back to prominence in the area, Xtreme Fight Night, returned to the Lumiere Casino for its 7th event. With an undercard full of kickboxing bouts, three professional boxing matches sat at the top of the card, a pro MMA and amateur MMA match rounded out the main card making for an exciting night of combat. The event was headlined by always-tough Joel Blair making his professional boxing debut against seasoned pugilist Raymond Handson. 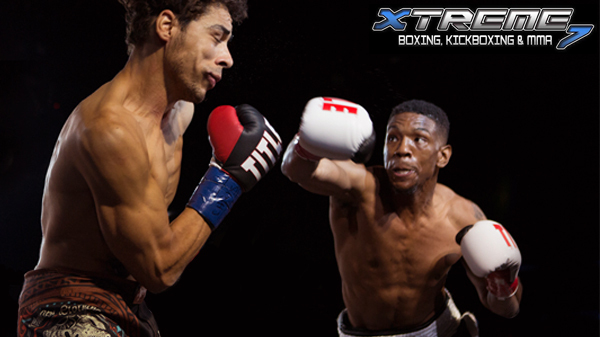 Handson defeated Kevin Brown at XFN 6 and was looking to keep his momentum going with a win over Blair. The fight turned into a heated contest quickly as Blair looked to taunt and frustrate Handson not only early on, but throughout the entire fight, as Handson tried to find his rhythm and timing. On the occasions that Blair looked to blitz forward Handson successfully was able to circle away and land hooks getting off the line. The third round saw Handson drop Blair through the ropes for a clean knockdown. Blair, still on the canvas, was able to get up and make it back to the action to continue. The fourth saw no knockdowns, but had its share of back and forth blows. When it was over, Raymond Handson won a unanimous decision over Joel Blair. After some brief measuring in a boxing bout between Jose Jones and Bo Smith, the Lindenwood professor dropped Smith with a body shot to earn an early knockdown. Sensing blood in the water, after hte reset Jones swarmed his opponent to earn two additional knockdowns back to back, ending the fight by first round quick TKO. Kevin Brown is willing to fight at any time, and he once again stepped up to take a bout on short notice against Terrence Akins. Brown looked to bring pressure early, but Akins was able to stick and move effectively. Akins showed crisp, flowing combinations and scored in several key moments of the first round. Brown stuck with his jab and did find some early success with it, but was never able to work anything else behind it. Throughout the bout Brown looked to land big shots, but Akins was the one that ended up finding them when Brown could not find his moment. Brown kept pushing forward and while he did land some single shots, they weren't in numbers and Akins consistently was the one having the most success as he moved along the ropes. While Akins definitely showed the more technical and crisp boxing, Brown would not be put away even after eating some solid punches in the fourth round. A still very fresh Akins decided it was time to just keep throwing combinations as he had plenty left in the tank toward the end of the bout. After the final bell, Terrence Akins was declared the winner by unanimous decision. In the only professional MMA bout of the evening, MCS's Demetrius Wilson made his Shamrock FC debut against AOC's Matt Murphy. An early failed throw attempt by Murphy caused Wilson to land in mount. Murphy was able to shrimp to half guard as Wilson then looked to land elbows. Murphy was eventually able to scramble to his feet to stand but Wilson then jumped and secured a tight guillotine that Murphy was able to toughen out of over time. Murphy then stood back up and looked to work from his feet once more, then Murphy secured a body lock and earned a takedown that landed him in mount. Wilson scrambled up to a reversal that that put Murphy on his back, with Wilson in his guard until the round ended. Wilson started the third round with a double leg takedown and landing in Murphy's guard, where he was landing some elbows. Murphy again was able to get back up and toward the end of the round secured his own takedown from the body lock position and landing back in mount. Wilson then turned and gave up his back, and as Murphy tried to flatten him out and attempt a choke the round ended. A successful single leg by Wilson got the fight to the mat in round three. Murphy shrimped back to guard, then looked to work a kimura from his back. Wilson defended it and passed to half guard, landing a couple elbows before getting to mount. From there Wilson was able to take Murphy's back, put in hooks and start to throw heavy shots until referee stoppage, earning him a third round TKO victory. The win improved Wilson to 2-1. Clayton Graves and Jake Willyard had the only amateur MMA bout of the evening. After some back and forth pummeling Graves was able to land a nice throw sending Willyard to the mat. Willyard was able to get up quickly and grabbed a body lock of his own, returning the favor and throwing Graves to the mat this time. From this position Graves grabbed the heels of Willyard and reversed his way back on top. Graves secured a heavy side control and as Willyard tried to scramble away Graves secured an armbar that forced Willyard to tap, making him the winner by submission in round one. The remainder of the undercard was all kickboxing bouts. In what was the most anticipated bout of the undercard coming into the evening, Andre Academy's Drew Gigax took on Hit Squad's Dan Skaggs. Gigax effectively landed some solid kicks on Skaggs early. Skaggs looked to return back, and when caught in a bad position, clinched and took the space away from Gigax to cause the referee separation. Early in the second a slip from Skaggs looked to possibly injure his knee. Dan tried to continue and even came forward with hard combination before the leg seemed to give out underneath him. The doctor was called in to evaluate Skaggs leg, and after looking at it the doctor advised the referee for Skaggs not to continue. Skaggs looked dejected as he was willing to keep fighting despite the injury. Gigax was declared the victor by TKO due to the injury. A crowd-pleasing bout between Merrill Williams and Joe Kelso had people on their feet as Williams immediate swarmed Kelso with a seemingly never-ending heavy combination that caused an early referee count. Kelso would not go easily however and he came forward right back at Williams. Kelso looked to shut down the flurry and land knees in the clinch to William's body. In the second round Kelso looked to continue to pressure Williams and close off of his hooks back into the clinch, a strategy that was starting to look to tire Williams. Kelso started the third by pushing Williams into the ropes and separating just enough to land some strong punches. In what looked to be a potential draw, the referee count in first round seemed to be the deciding factor in the decision, giving Merrill Williams the win. Jason Brown looked to punish the lead leg of Kyle Smart, targeting it with a number of round and inside kicks. Smart was more focused on boxing and did land some decent strikes as well, even finishing the first round with a nice knee to the body. The second round saw Brown press forward a few more times with some solid strikes landing successfully. After dealing more punishment to Smart's leg, Brown found a hard combination to send him to the mat. While Smart got back to his feet, he was deemed unable to continue by referee Mark Wassom, earning Jason Brown the win by TKO. Tony Lanzarini effectively used his height and reach advantage against Jeremy Evans. Lanzarini was successful landing round kicks and finding his straight punches throughout the contest. While Evans did come over the top with some shots, it was Lanzarini who kept more composed and technical, earning him the win by unanimous decision. In the first match of the night Angelo Young and Anthony Lucas kept an unusually calm and collected pace for an amateur bout. In the third, Young sensed a finish and turned up the intensity, picking up the win by TKO after overwhelming Lucas with combinations. 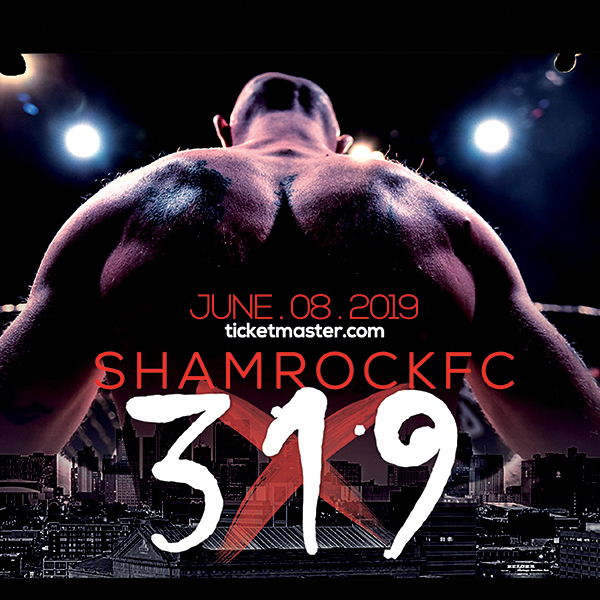 Shamrock FC returns on May 28th at Ameristar Casino in Kansas City followed by a trip cross town to River City Casino on June 3rd.